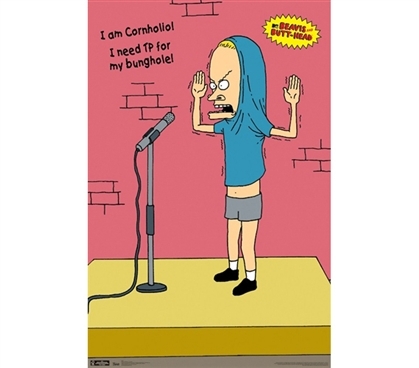 Beavis and Butthead's signature brand of comedy can be brought to your dorm decor with this Beavis and Butthead Cornholio Poster. This poster for college students is a fun dorm item that's sure to bring upon a few laughs and will provide you with a cool college poster, which sure beats looking at a blank wall. When you're shopping for college, you'll need a poster for college, actually several, if you want to bring plenty of character and cool college decor to your room.